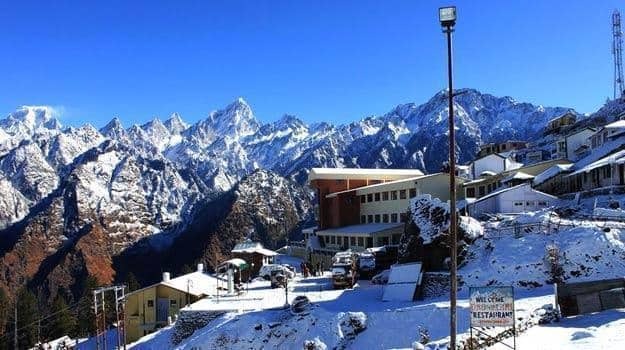 Where to stay: Auli has many accommodation options but they can be completely booked during peak season so it is best to book in advance. GMVN (135 243173) offers affordable and clean rooms. 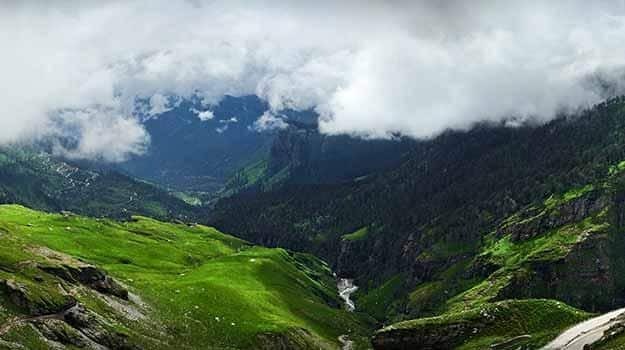 Clifftop Club Resort (+91 9411107939) is a prime property in Auli while The Auli Resort (+91 9412325480) offers standard rooms and a comfortable stay. Where to stay: There are many hotels and lodges in and around the national park and most offer combo packages of a safari and stay. It is best to opt for these in order to avoid any disappointment after arriving there and not finding a spot. The Riverview Retreat (095550 88000), Infinity Resort (05947 251279) are mid-range hotels. If you want luxury hotels, opt for Leela Corbett Vilas (05947 284332). Things to do: Safaris are held during the day between 6 am to 10 am and 2 pm to 5 pm. When here, do go for one to spot your favourite animals including elephants, peacocks, deer and leopards. 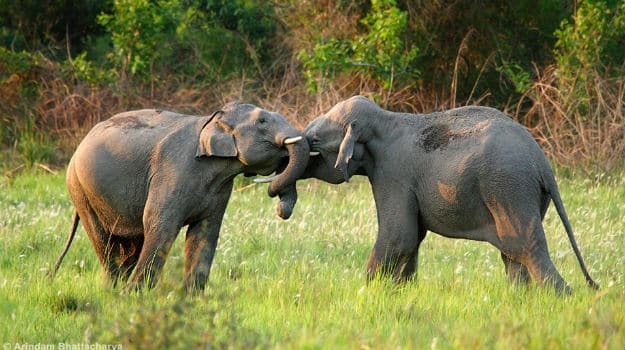 Jim Corbett National Park is famous for the Bengal Tiger and you should go for a safari to spot them. The Ramganga Resovior attracts many migratory birds also. The rich flora and fauna here make for a memorable trip. You can contact the officials at +91-5947-253977 for making any bookings. Where to stay: From budget hotels to some of the plushest ones in the city, Delhi has an interesting mix of accommodation suited for all kinds of travelers. The Lalit (011 44447777) is a five-star property that is comparatively easier on the pocket than its competitors. Lemon Tree Premier (011 44232323) is in the airport and Hotel Indraprastha (098101 87451) offers decent rooms on a budget price. Things to do: There is so much to do in Delhi that is impossible to list down everything in this much space. However, if you have two days, here are a few things that should definitely be in your itinerary. Go to Red Fort and then eat at the Paranthewali gali. Head to Jama Masjid and then visit India Gate. In the evening you can head to Connaught Place where you will find many restaurants and pubs. A visit to the Akshardham Temple also makes for a memorable experience. 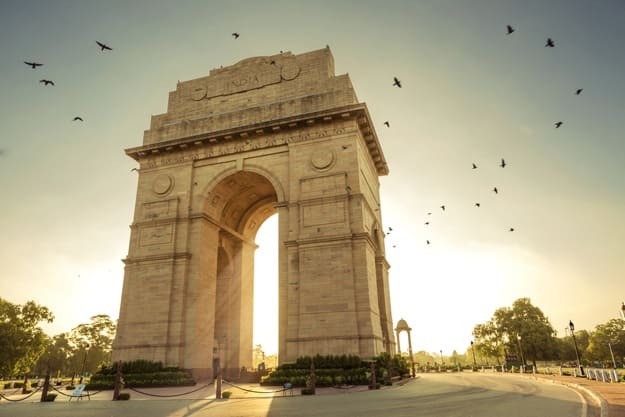 You can also go to Lodhi Garden, Humayun’s Tomb and if you want to shop, visit Sarojini Nagar and Hauz Khas Village where you will find clubs and pubs too. Where to stay: Amritsar has many budget hotels in the city. You can also book a stay in Ramada (0183 5025555), Hyatt (0183 5251234) or Radisson Blu (0183 6611111). 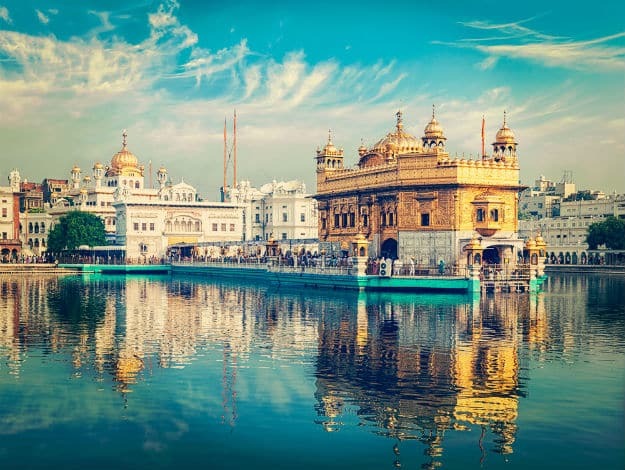 Things to do: Perhaps the first thing to do in Amritsar is to visit the Golden Temple, the most sacred shrine of the Sikh community. Wear clothes that cover your arms and legs and you will be required to cover your head too. When here, do try the food served at its langar, the largest community kitchen in the world. Amritsar is also home to the Jallianwala Bagh where the British opened fire and brutally murdered several hundred people including women and children. You can see the bullet marks even today. If you are a foodie, you should visit dhabas in Amritsar for some authentic Punjabi cuisine. For a patriotic feel, do witness the Wagah Border Ceremony that takes place every evening where a parade is held and the flag of the two nations are lowered. The patriotic atmosphere is enough to send you in a tizzy. 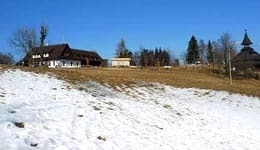 Where to stay: Alps Resort (0189 9240781), Snow Valley Resorts (0189 9242700) and Grand View Hotel (086288 10659) are mid-range options that will be best for couples and families. 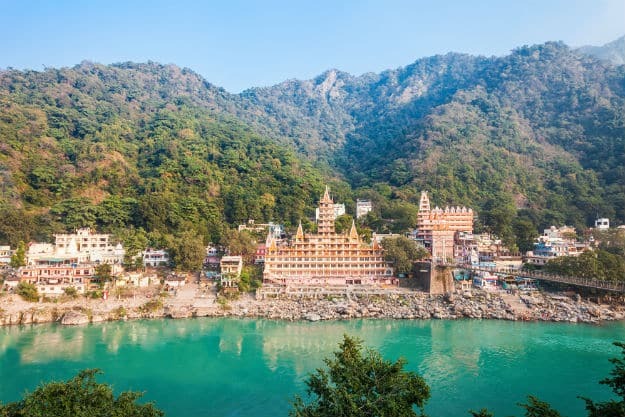 Where to stay: Rishikesh offers accommodations like tents, lodges, ashrams and hotels. You can choose the type you like as each has its own experience to offer. If you prefer hotels, you can opt for Ganga Kinare (090155 44000) which is a boutique hotel overlooking the river or Amaris Hotel (1800 180 4162) which is a prime property. 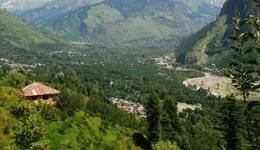 Where to stay: The HPTDC hotel Kashmir House (01892-222977) offers clean rooms and is well-maintained. Hotel Dhauladhar (01892-226722) is yet another HPTDC property and is located in the same building as the railway reservation center. If you are on a budget, consider Kaveri Lodge (01892-221132) which doesn’t just offer clean rooms but also a friendly vibe and some great views. 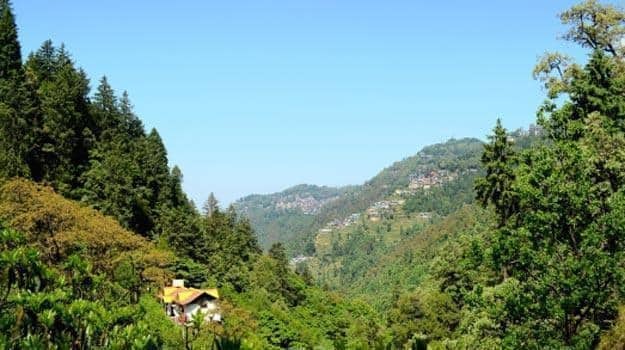 Where to stay: Kasauli Exotica (088947 25931) is one luxury hotel in this hill station. Birds View Resort (01792 272 120) and Kasauli Castle Resort (01792 273 805) are a few other options to stay when you are here. Things to do: If you love Gothic architecture, then pay a visit to Christ Church and Baptist Church that show you a glimpse of British colonial era too. 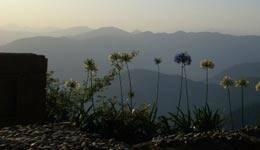 Kasauli is also home to several endangered species of flora and fauna and summer is the best time to spot them. 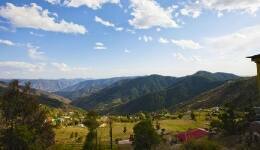 To get a glimpse of apple orchards, visit Parwanoo which is only 27 km away from Kasauli. In the evening, go the Mall Road for a stroll which is dotted with shops and restaurants. 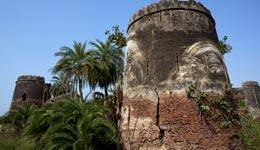 There is also the Kasauli Brewery which is the oldest distillery in Asia for scotch whiskey. 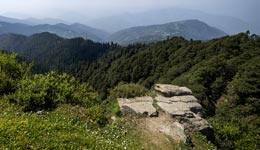 The highest point in Kasauli is called the Monkey Point and is dedicated to Hanuman. There is also a temple for him. 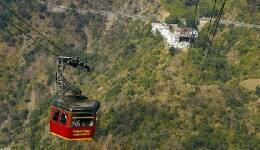 You can get a glimpse of the city below from here along with views of the Sutlej River and peaks of Dhauladar. 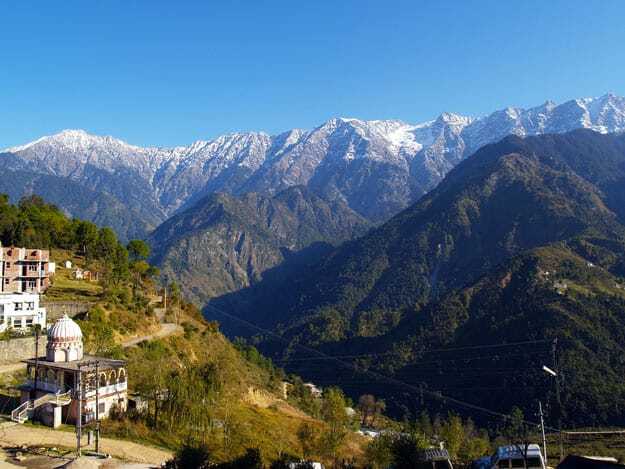 Where to stay: There are limited accommodation options in Solan. Tarika’s Jungal Retreat (01792 248 684) and Hotel Paragon Palace (01792 226 666) are two of the options. Where to stay: For a truly royal experience, stay at the Chail Palace (01792 248 141) that was the home of the Maharaja of Patiala and has been converted into a heritage hotel. Hotel Ekant (094181 48378) offers decent rooms. 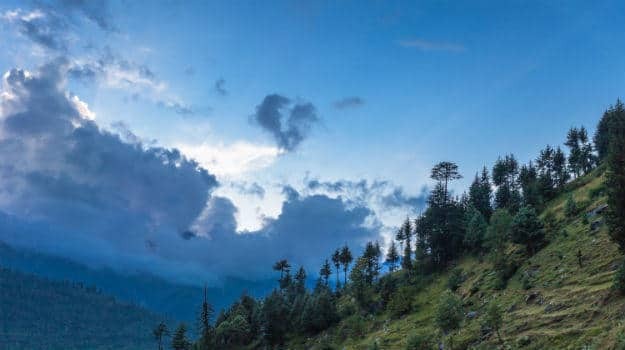 Tips to keep in mind: There aren’t too many eating options in Chail so it is best to eat at the hotel you are staying at. Or you could also opt for food at local dhabas.